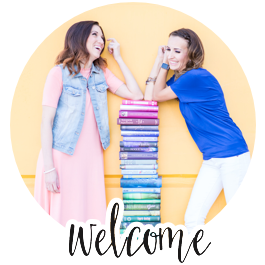 I love to try out new recipes and every once and a while I do like to delve into some of the insane Pinterest desserts and appetizers. 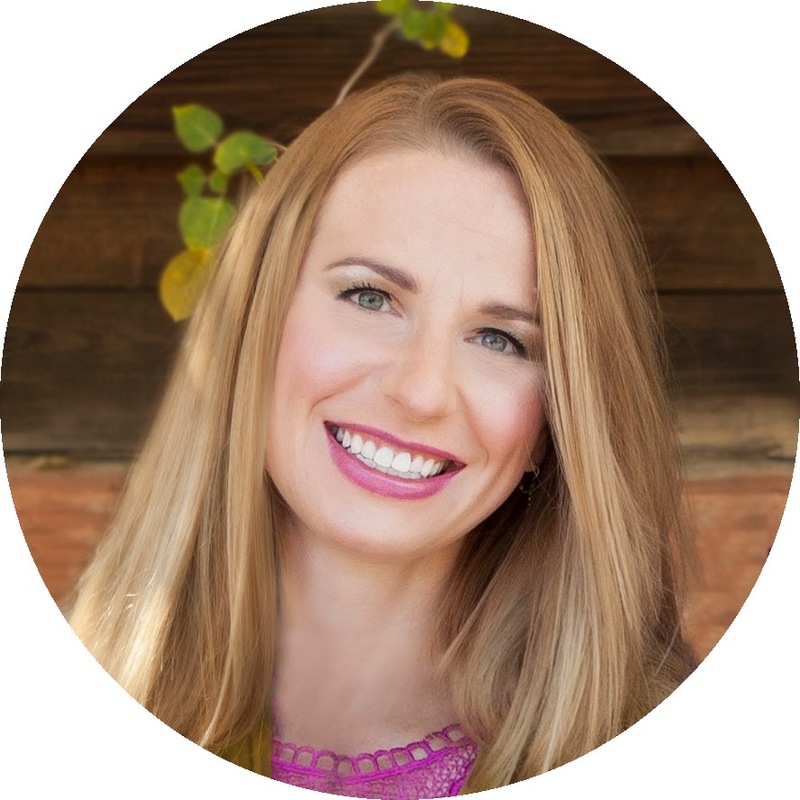 BUT, as a mom of five, sometimes I don't have the time or money to do something extravagant. That's why I like to have a few fall backs when it comes to bringing something fun to book club or any other event for that matter. (after you buy the cheesecake pudding mix and the graham crackers, the $2-3 for the box is the more frugal route and saves the most time). These cheesecakes were the perfect answer to a busy day when I needed to make a dessert for our book club on The Eye of Minds by James Dashner. 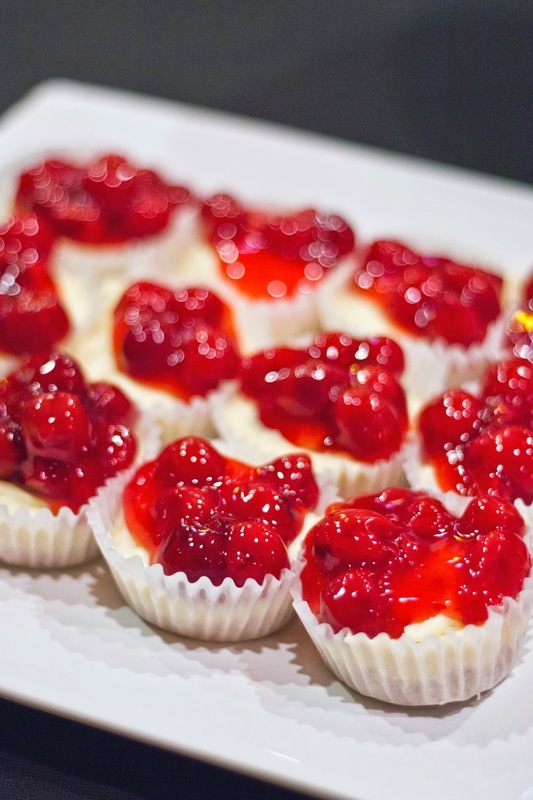 If you've read the book, you can just call these "Mini Lifeblood Cheesecakes." 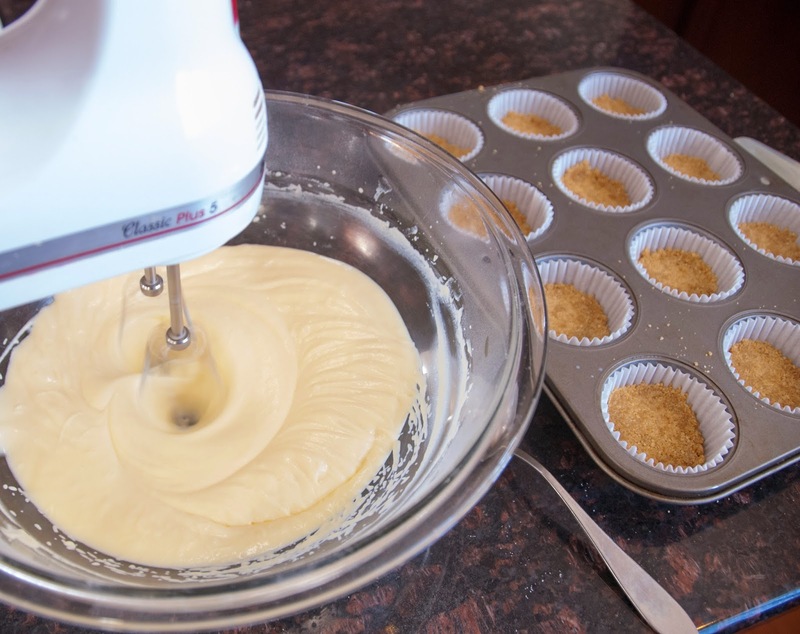 Line a muffin tin with 12 cupcake liners. 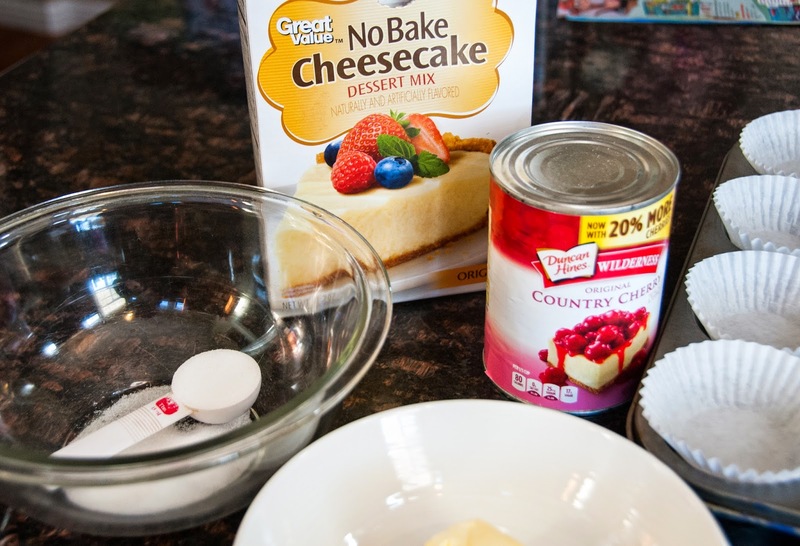 Open your box of cheesecake mix. 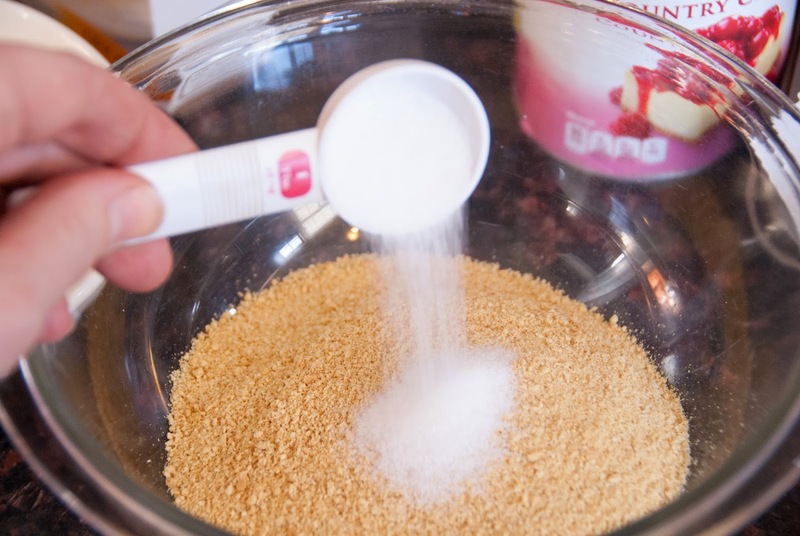 Pour the graham cracker crumbs in a bowl and add 2 tablespoons of sugar. Melt the butter in the microwave. 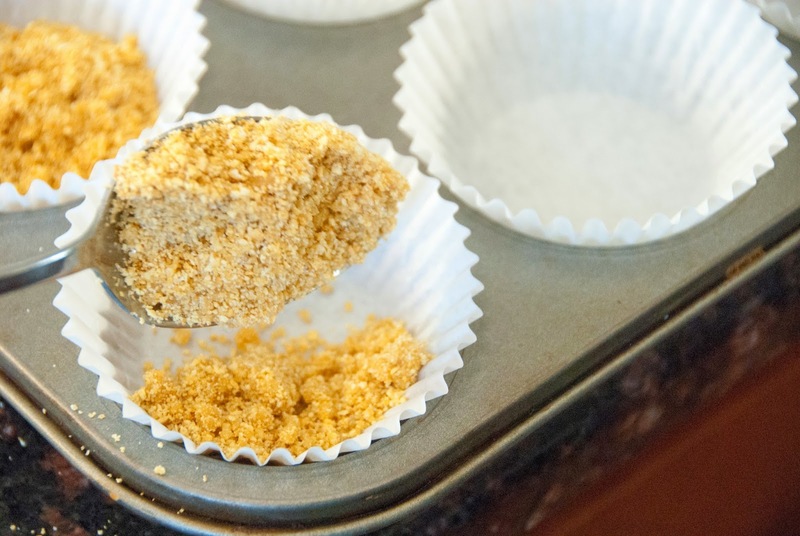 Pour it into the crumbs and stir with a fork. 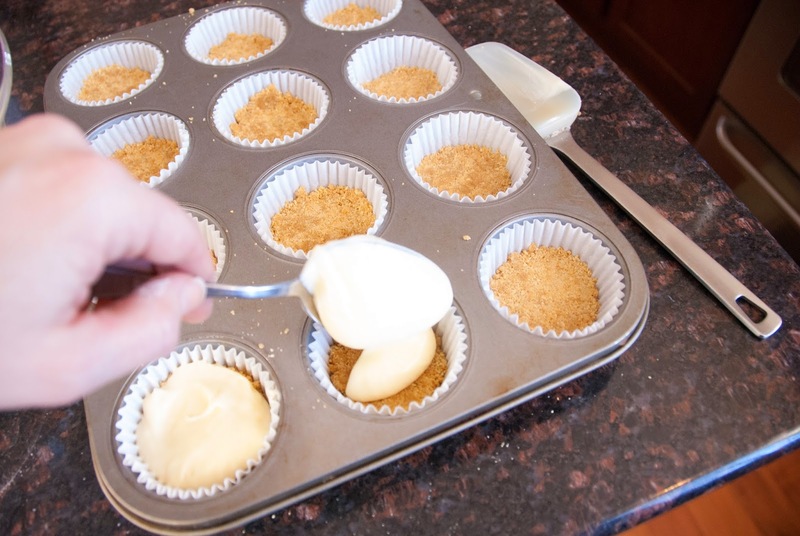 Spoon about 2-3 tablespoons of the crumbs into the bottom of each cupcake liner. 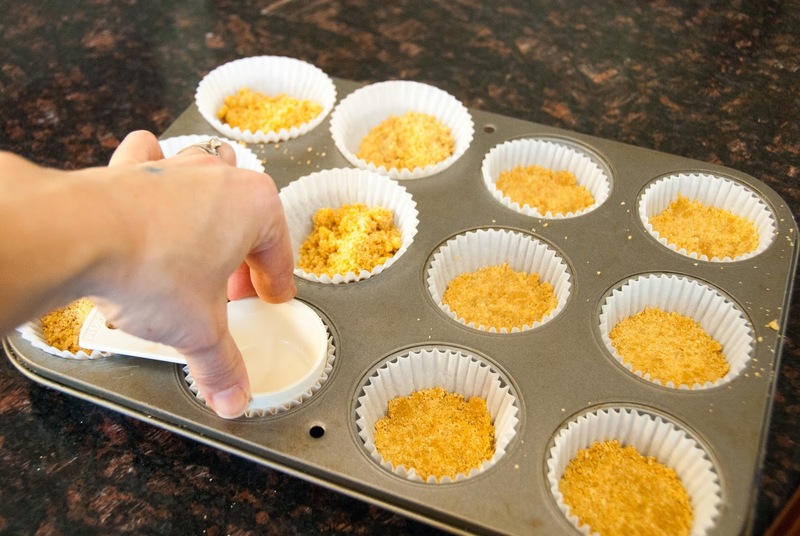 Don't press it down until you have evenly distributed the crumbs. 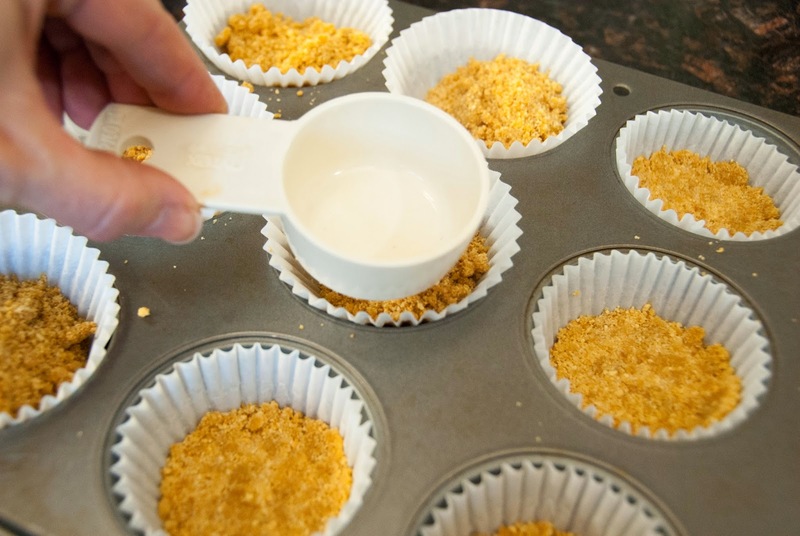 I like to use the bottom of a measuring cup to press the crumbs down. 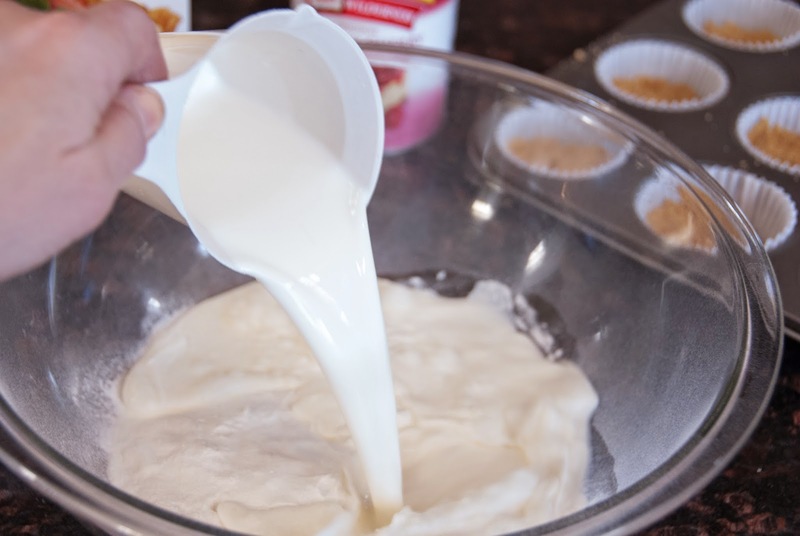 Pour the cheesecake pudding mix (that came your no-bake box) into a large bowl. Add 1 1/2 cups of milk. Beat with an electric mixer for 2-3 minutes until it starts to thicken. 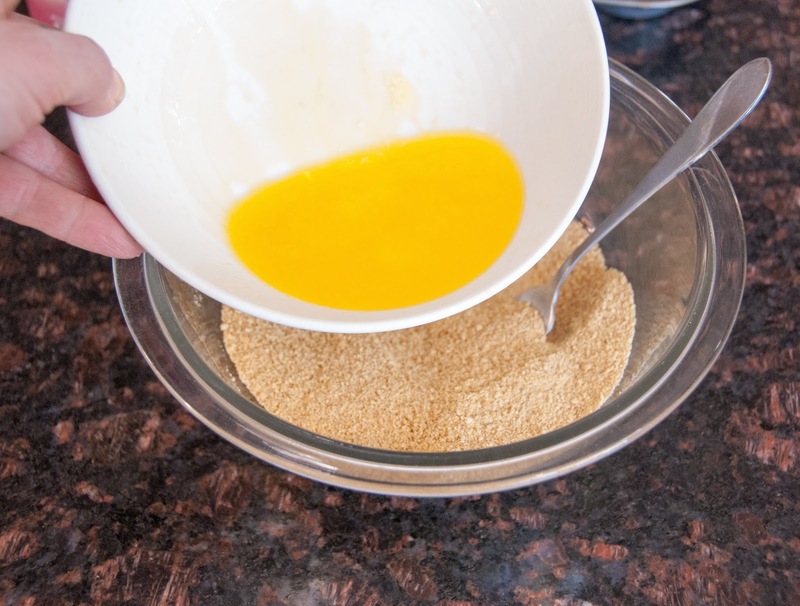 Immediately spoon it over the pressed graham cracker crusts. You may have to press it down or smooth it out to flatten it. Now, THE SECRET: put it in the freezer! I'm telling you, these babies taste the best if they are all the way or slightly frozen. I don't take them out of the freezer until I'm about the serve these. Then I add a fruit glaze. You can use canned pie filling or make your own (check of this yummy fresh raspberry sauce I made to drizzle over pavlovas). 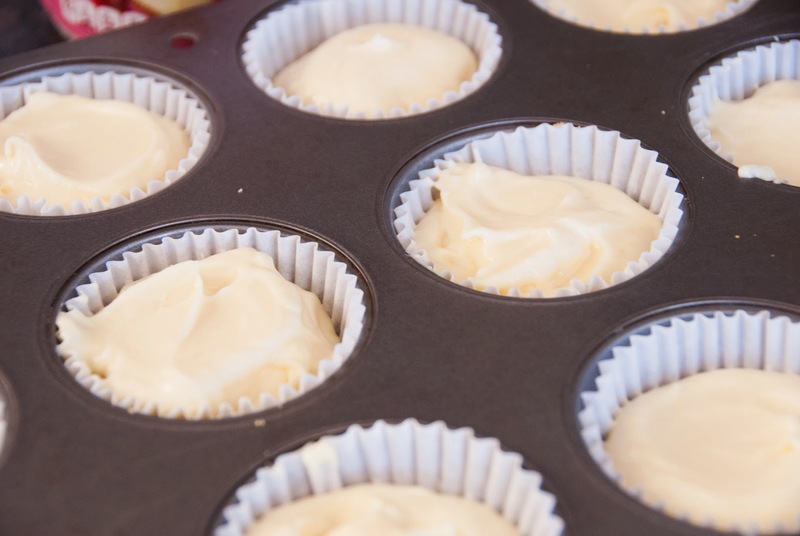 You can make these a few days ahead of time and they taste perfect. 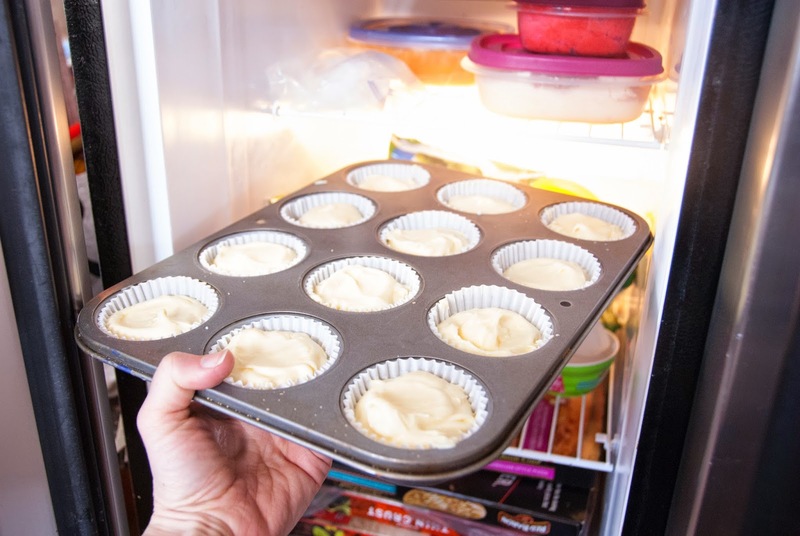 Just take out of the freezer, place on a fancy plate, and add your fruit filling over the top right before you serve and these are too-die for. You may want to make a couple of batches because I rarely go home with any and I could eat 3-4 of these without the slight bit of guilt. Best part? It only takes about 10 minutes to make and the cost is always under $5. 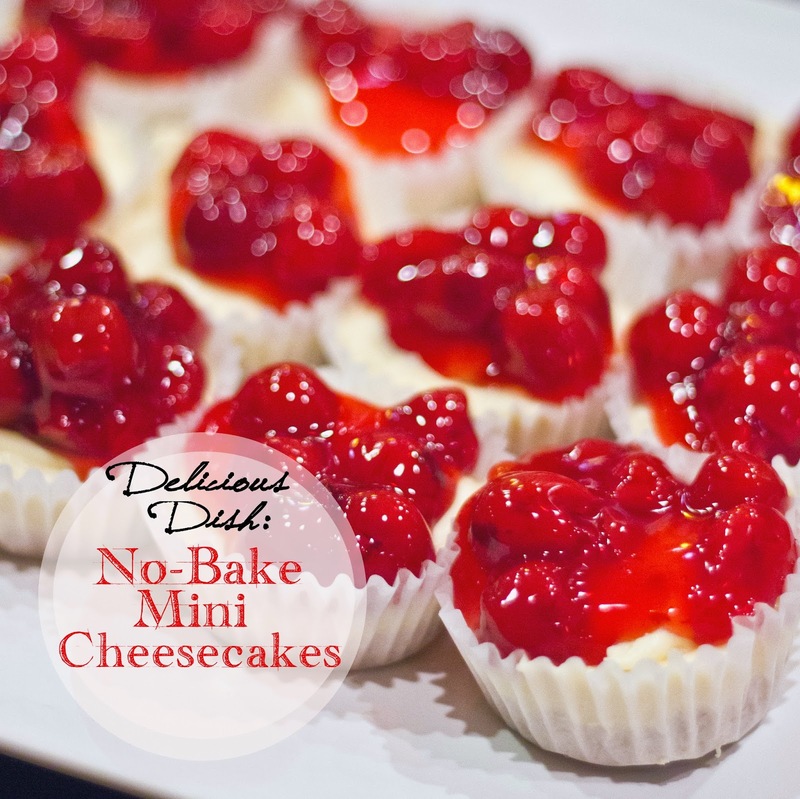 If you buy the box mix that already comes with the fruit topping (my preferred choice), it is only about $3 for a dozen mini cheesecakes! Check out the rest of our menu from The Eye of Minds book club night too.